Laurie and I purchased this small farm in rural South Carolina in 2005...for the last six years, I noticed that there were a LARGE number of bees making a beautiful habitat underneath the manufactured home (TRAILER) on the property. It seems that we don't just have any type of bee....the HUGE amounts of natural flowers and "may-pops"* has attracted a large amount of honey bees. 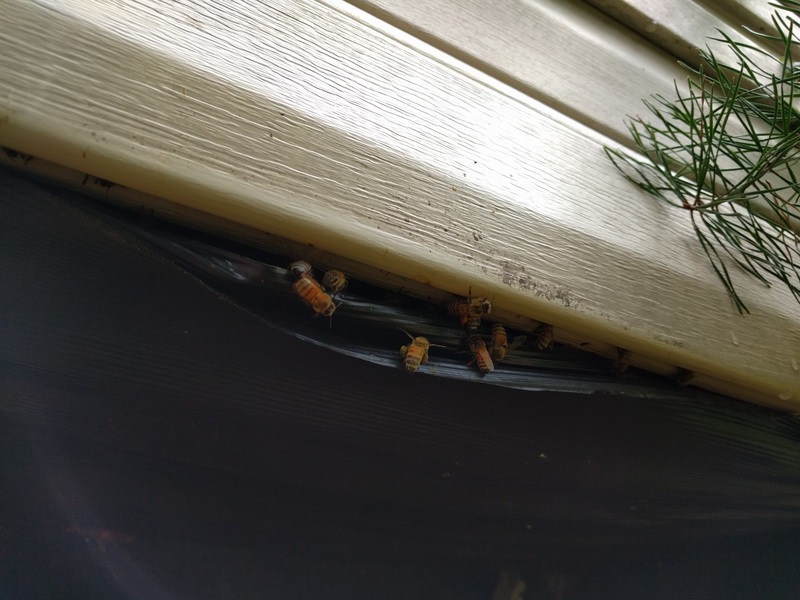 This story is just getting started in the spring of 2017 as we are moving the bees to "higher ground"....(insert "Jefferson's" theme song here). Stay tuned for the "moving" videos" and other items as we progress.